This fossil reproduction is an exact copy, cast directly from the actual fossil itself. For Sale is a decent example of the Moroccan Devonian trilobite Treveropyge Sp. The fossil is a good size at 60x35mm and apart from missing the right free cheek the fossil is complete and retains much exoskeleton. Baltic Coast. Age 35-50 million years. For Sale is a good example of the English Ordovician Asaphid trilobite Barrandia homfreyi. The fossil is a good size at 40x30mm and apart from missing free cheeks the fossil is complete and retains much exoskeleton. A large example of a fossil Trilobite. Kem Kem Beds, Morocco. Age 95 million years. Ordovician Period. We have a few of all are of similar size and quality to the one in photo's. May have repair. ">">">">">;">">">">">">">">">">">">">">">">">">">">">">">">">">">">">">">">">">">">">">">">">">">t">">">">">">">">">">">">">">">">">">">">">">">">">">">">">">">">">">">">">">">">">">">">">">">">">">">">">">">">">">">">">" border=0>" border=0>" border=0> border=0>" border=0>" border=0>" border=0>" border=0>" border=0>" border=0>" border=0>border=0>">. Nanxiong Formation, Guangdong Province, China. Age 65-72 million years. The fossil is approx25x18mm. From the Arnheim Formation of Mount ORAB, OHIO, the trilobite is complete and retains much exoskeleton. Trilobites finally disappeared in the mass extinction at the end of the Permian about 250 million years ago. This is such an impressive piece it would add to anybody's collection or as a starter piece for any age. 3 Trilobites. From the Middle Cambrian - Jince Formation - Czech Republic. From the Ordovician - Llanvirn series - Pencerrig near Builth Wells Powys. 7.5cm x 5.5cm x 1.5cm matrix. PARALAJURUS TRILOBITE. Devonian, Anlif Morrocco. PARALAJURUS TRILOBITE. Devonian, Anlif Morrocco. (Trilobite is 55mm long. Matrix Approx. 75mm x 70mm). Hell Creek Formation, Montana. Age 65 million years. For Sale is a nice example of the Spanish trilobite NESURETUS tristani. The fossil is approx 40x30mm with the cephalon just tucked under the front., and displaying well centered on a small block.From the Llandeilo series of the Ciudad Real, Spain. For Sale is a nice example of the English Ordovician trilobite English trilobite AMPYX linletensis. The fossil is aprox 20x20mm, and it is essentially complete though slightly disarticuated and retains much exoskeleton. A small collection for the LICHID collectors. Another from my personal collection. Brought in 2004 from USA. Fine eye facets, fine details to the exoskeleton. For Sale is a decent example of the Welsh Ordovician trilobite Cnemidopyge nuda. 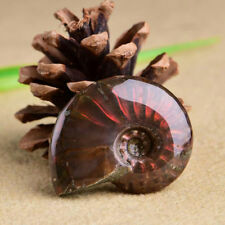 The fossil is a small at aprox 10x10mm, and it l is complete and retains much exoskeleton. On a small block aprox 60x50mm along with the remains of other trilobites. Attractive and beautifully detailed Trilobite fossil of species Crotalocephalina Gibba with display stand. Well preserved and detailed trilobite of species Crotalocephalina Gibba and of the order Phacopidaa. Another rarely seen trilobite from the Upper Cambrian of Canada is this fine example of APHELASPIS (Labiostria) westropi. The fossil is a good size at 30x25mm on a small block, displaying nicely. Complete and worthy of being on your display shelf. Devonian Period, 345-395 Million year old, Found Draa Valley, Morocco. We have a number of these, so may be slightly different from Photo's, but still Very Nice examples. Two Fossil Trilobite's. ">">">">">;">">">">">">">">">">">">">">">">">">">">">">">">">">">">">">">">">">">">">">">">">">">t">">">">">">">">">">">">">">">">">">">">">">">">">">">">">">">">">">">">">">">">">">">">">">">">">">">">">">">">">">">">">" border=0>" border=0>" border=0> border=0>" border=0>" border=0>" border=0>" border=0>" border=0>" border=0>" border=0>border=0>">. Although it is not uncommon to find whole Trilobite fossils, it can be a lot more common to find them incomplete, missing different parts of the three sections. 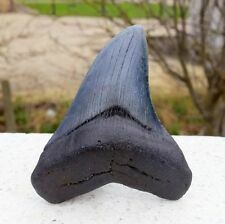 Age: Devonian Period. Finally after hundreds of thousands, or millions of years, the land is eroded and the fossil can be seen. For sale here is a very uncommon Mid Cambrian trilobite ELRATHIA antiquata from the Conasauga Formation of Cave Spring Georgia, USA. A good size at approx 50x30mm on a small block and virtually complete except for a small portion of the pygidium and lower left thorax lost in the collection process. Genus: Trilobite. Finally after hundreds of thousands, or millions of years, the land is eroded and the fossil can be seen. What is a fossil?. Fossils can be as tiny as a grain of pollen or a seed for e.g. or as huge as a limb bone from a giant dinosaur. Dinosaur Eggshell on Matrix - Nanxiong Formation, China, Tarbosaurus?. Nanxiong Formation, Guangdong Province, China. The other consists of one eggshell, also with matrix attached. Size 15mm (largest, excluding matrix). The fossil does have a repair but this is almost always the case with the fossil Trilobites from this formation as the collectors have to first break open the nodules containing the fossils to see if there is indeed a Trilobite preserved inside. Trilobite size approx : 70mm (tail to tip) x 50mm (widest points). Trilobites were the first creatures with a skeleton (Exoskeleton) so they were easily fossilized. Morphologically, the trilobite body is divided into three major sections. Large Cambropallas Trilobite, Cambrian Period, Morocco, Africa. Large Cambropallas Trilobite, Cambrian Period, Morocco, Africa. 18.5cm in length. 1.1kg in weight. Please see my other items. All items are guaranteed to be genuine, should a recognised museum authority express doubt a full refund will be issued. Age: Devonian. Finally after hundreds of thousands, or millions of years, the land is eroded and the fossil can be seen. Fossils can be as tiny as a grain of pollen or a seed for e.g. or as huge as a limb bone from a giant dinosaur. 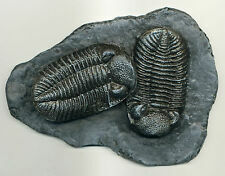 Bronze Fossil of a Trilobite from the Devonian Period, Wall Plaque.Sculpture. Bronze Fossil of a Trilobite from the Devonian Period. The original trilobite is believed to over 365 million years old. from Cold Cast Bronze. This is a very unique product. Condition is Used. the plaster is chipped as you can see in the photo. Ammonites fossiles of Madagascar's island. One lot similar in quality and quantity of the picture. un lot similaire a la photo en qualité et quantité. Lunuloceras lonsdalii (Pratt, 1841). 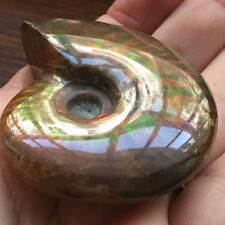 pyritized Ammonite. 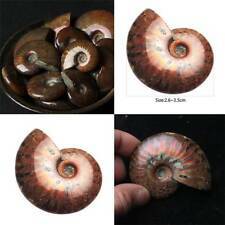 100% natural - not polished, not dyed and toned, it's a REAL color of pyritized Ammonite. Upper Callovian. Middle Jurassic. Size: 2.7 x 1.9 cm ( 1.1 x 0.7 in ). The top of the Middle Callovian - down Upper Callovian. 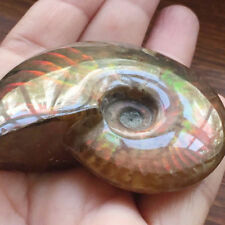 pyritized Ammonite. 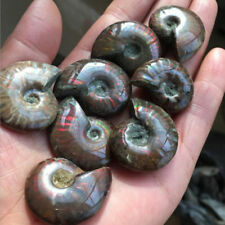 100% natural - not polished, not dyed and toned, it's a REAL color of pyritized Ammonite. Middle Jurassic. 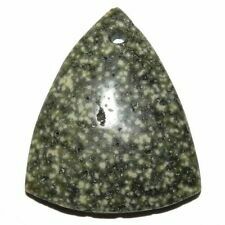 Size: 2.6 x 2.1 cm ( 1.0 x 0.8 in ). Coronocephalus Tail fossil. Authentic 450 million year old trilobite fossil is in excellent condition. 1 x Trilobite Fossil. A favorite of fossil lovers and the most illustrative teaching sample. Fossils can not be near water. AMMONITE PENDANTS $59 Sterling Silver Fossil Jewelry by STARBORN CREATIONS NEW! 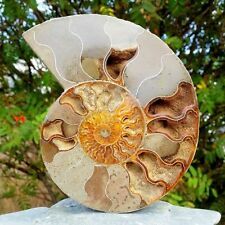 Ammonite Cleoniceras Cretaceous Era Fossil 110+ Million Year Old FREE USA SHIP! Fossil Ammolite with various colors - ammonite, Alberta, Canada . BLACK RUTILATED TOURMALINE HAIR QUARTZ CRYSTAL POINT AAA+ 314 GRAM RAINBOWS! Fossil Ammolite with red colors - ammonite, Alberta, Canada . Nice AMMONITE weight 2.14 lbs.